Whenever you’re planning your vacations, it’s imperative that you know a few basic things about the place beforehand. Dubai is a very popular holiday destination. It’s no Las Vegas, it’s no Switzerland, yet, it’s not less famous. If its Dubai holidays that you’re planning, here are a few things that you must know beforehand. Dubai is full of skyscrapers, no doubt. However, there is more to Dubai than just skyscrapers. It’s rich in culture and has a great history. You can visit the souks in the Dubai Creek area, the heart of the city, where you can find all sorts of vendors selling all a variety of goods; spices, trinkets, clothes, perfumes. Don’t forget to negotiate with the vendors. Although, you can have dinner at lavish restaurants and hotels, it’s recommended to try the local food. Go for street foods, especially in the Bur Dubai area. You can find all sorts of street food including Filipino, Iranian, Yemeni, Indian, Bangladeshi, Afghani or Pakistani food. UAE might be an Islamic country, but it’s not as conservative as some people believe. If you’re female, you can dress just as you would in US or Europe—skirts, shorts, minis, everything is fine. In fact, you don’t even need a burkini, as some would fear. You can wear your regular bikini. You don’t have to cover your hair as well until you are visiting a mosque where strict rules need to be followed. Metros can be cheaper, but the stations aren’t located as you would like them. So, don’t be afraid. Hire a taxi. Although, it’s not mandatory, you should tip the driver if you don’t want to be frowned upon. Some might believe that being an Islamic country Dubai would be alcohol free. No, it is not. You can have alcohol at pubs, restaurants and hotels. A good ambiance, lovely music and alcohol can you’re your evening lovely and fun. Nonetheless, make sure you’re not stumbling around in streets in your cups. It will land you in trouble. You surely don’t want to get in a problem with police. 6Summer Heat is Just Too Much! During the summer, temperature in Dubai rockets high to more than 55°C which can drench you in sweat within seconds. 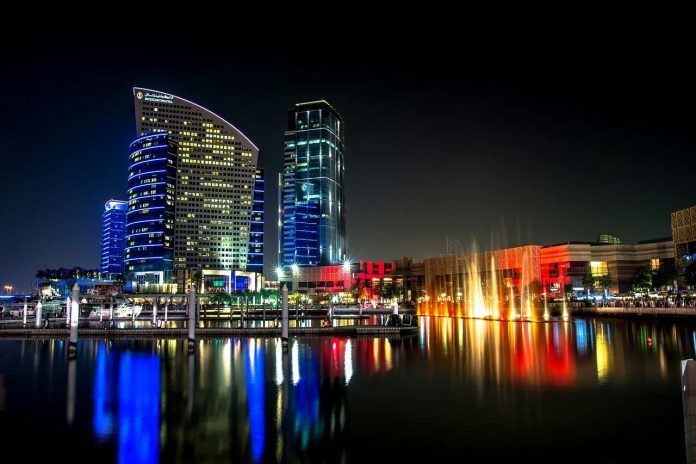 It’s better to schedule your Dubai tour between November to February, when the temperature is more favourable. It might be tempting to gaze at the colossal sky-high towers, however, when you walk it’d be better to look where your feet go. The pavements aren’t as you’d want them to be, broken or non-existent. The spas in Dubai are incomparable. However, don’t go for beauty clinics at the malls as those are mostly below standard. It’s better to choose the luxury hotels, which may be costly, world apart nonetheless. Once you’ve gotten used to Dubai spas, you’ll find it difficult to settle for another place outside Dubai. So, now that you’re acquainted yourself with Dubai, it’s time to book your flight tickets and have a rocking vacation. Previous articleBirthstones for Each Month & its Uniqueness: What is your Birthstone? Being a mother – Who says you can’t do it?